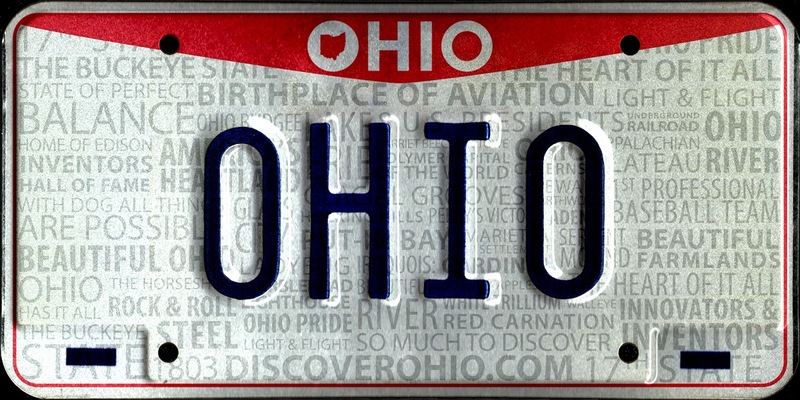 I'm driving down route 59 in Stow, a few miles away from my house, when I remember that I've got illegal plates on my car. More accurately, it is illegal that I've not yet put plates on my car, the one I bought mid-December, & am still riding around town on dealership tags. My real plates arrived by mail while I was stranded in New York, but I haven't even tried to put them on yet because I keep forgetting. I'm bound to get pulled over soon, though, when I'll be forced to pay an actual price for my procrastination. I'm about to grab lunch & run some errands, but all of a sudden I'm anxious as hell about these plates. I decide to make a pit stop first, pulling into an Autozone along the way. "I have an embarrassing question," I begin, & the guy behind the counter - his nametag says he's Don - looks at me like he's expecting me to be a total moron. To be fair, I feel like one. "I just moved back here from D.C.," I explain a little nervously, like maybe Don will take pity on me if I seem like I'm totally new to suburban life. "I just bought a new car, & my plates came in this week, but I haven't put them on yet. I don't know what kind of screws I need, & I don't know where my screwdriver is, & I was just wondering... is that something you could help me with? I know this is sort of crazy." Don seems a little confused, but he follows me out to my car & takes a look at my plates. It is approximately 20 degrees outside, & Don is wearing shorts. And no gloves. I, on the other hand, am bundled up like an Eskimo & still chattering. "What brings you to Ohio?" Don asks, striking up small talk as he screws my back plate in. We talk a little bit about where I was & why I'm back here; he tells me about life in Montana, where he used to live, & says it was so rural that it makes our hometown seem metropolitan. Amidst the chatter, I apologize repeatedly for asking him to help me such an easy task, but he never once makes me feel like I'm stupid for it. "I'm gonna need to sell you some screws," he says, somewhat apologetically, & I follow him back into the store, where he rings me up for a package of $2.99 screws. "How much do I owe you for helping me put these on?" I ask. "Come on," I insist, but no dice. He rings me up for the screws - they cost me $3.19 with tax - & then we head back outside, where he uses my new screws to attach my new license plates. "You're all set!" Don announces, & I thank him profusely while trying to hand him the $15 in cash that I've been clutching in my right hand. "Will you please let me pay you for helping me with this?" I ask, borderline begging. I am possibly the most thankful person to ever be thankful. "Not a chance," he says. "Just promise me that the next time you need something for your car, you'll stop at an AutoZone." I am suddenly overwhelmed by this incredibly kind interaction, one that could have been - should have been? - incredibly embarrassing & would, basically anywhere else, have cost me much more than $3.19. I am suddenly very, very thankful to be from such a good place full of so many good people. As I thank Don a final time, I choke up a little bit, & I'm sure he can tell that my eyes are a little bit misty. "Welcome back to Ohio," he says. And that's that.